Author’s note: This is the first of a two-part series outlining potential areas for improvement for Farming Simulator 19. This article will focus on technical changes that could enhance the realism of the game, while the second part of the series will focus on broader possibilities such as game modes, vehicle enhancements, and more. Farming Simulator is near and dear to my heart, and like a parent wishes for their child, I only want the best for the series. All of the suggestions in this feature are provided with the best intentions, and should be taken as a “wishlist” of sorts, and not as my realistic expectation of the improvements to be made (I recognize, for instance, that the development team is relatively small). I encourage those with alternative – or supporting – ideas to seek me out on Twitter to discuss. With the announcement (from developer GIANTS Software and publisher Focus Home Interactive) that Farming Simulator 19 is coming this fall – which was no surprise to those who follow the games closely – it got me thinking: what do I want to see from the next iteration of the popular agricultural simulation series? What does the community want? After playing several hundred hours of Farming Simulator 17 and watching the library of user-created mods grow over the year and a half since the game’s release, I thought I’d take a moment to be somewhat self-indulgent and write down my “wishlist” of features for the upcoming release. I’ve also tried to interweave my own desires with some that are typically the most highly-demanded by the Farming Simulator community on social media and the GIANTS forums. The farming simulation genre (can we call it a genre? Perhaps a sub-genre?) seems to have gained some momentum in recent years. Farming Simulator 17 was the best-selling entry in the series to date, and other contenders such as Real Farm and Pure Farming 2018 have tried to mimic its success. While not all well received critically, the one thing that encourages me about the release of multiple farming games in a relatively short time frame is that it breeds competition (I gave Real Farm a fairly generous 7.5/10 in my review due to its innovations). I have seen things over the past year or so from Farming Simulator’s competitors that I hope GIANTS will adapt and expand on for Farming Simulator 19, which I’ll discuss below. I’ll start off with a recap of everything we currently know about Farming Simulator 19. It’s going to be released in the fall of 2018 – my guess is that it will follow a similar release timeline to the last PC/console iteration, and we’ll see it come out near the end of October. The game utilizes the same graphics engine, however that engine has been completely overhauled and will offer “the most striking and immersive visuals and effects to date”. Press releases have also claimed that the game will bring great improvements “to nearly every aspect of the game” and introduce new farming activities and mechanics. Farming Simulator 19 will feature three maps (previous entries only released with two). Two of those maps will be entirely new, while the third will be an improved version of the South American map released with the Platinum Edition DLC. Further, the game will boast the addition of even more equipment brands to its already-massive vehicle roster, and add new vehicles from the existing brands. For example, the release of the game’s first screenshot showed an AGCO IDEAL combine – winner of “Machine of the Year” at Agritechnica, which is widely regarded as the world’s leading trade fair for agricultural technology – confirming my suspicions that the AGCO brand would remain in the game (and bring the IDEAL with it). Focus Home has also said that the game will feature new crops (though we don’t know what those will be), and introduce two new animals to the series: horses and dogs. Both of these can be seen in the Computer-Generated Imagery (CGI) trailer that was released in mid-February, and were confirmed by a GIANTS Community Manager to have been intentionally shown. All of this sounds very impressive, but the part that intrigues me most is the promise of “great improvements to nearly every aspect of the game” in a press release, and the indication that Farming Simulator 19 will introduce new activities and mechanics. What could this mean? Allow me to put forward my speculation on the things I think GIANTS either may be working or that they should be working on (and I’ll throw in a little bit of optimistic naiveté for fun). While the “we” in the sub-heading may lead you to believe I’m being self-important, I don’t have any delusions of speaking for the entire Farming Simulator community. Rather, I’d like to present my thoughts in terms of the things that I think we, as players, need to see in Farming Simulator 19 in order to enhance the experience above and beyond that which was offered in 17. As mentioned earlier, many of these are features that are often touted by fellow players as key areas they feel the series could improve in. 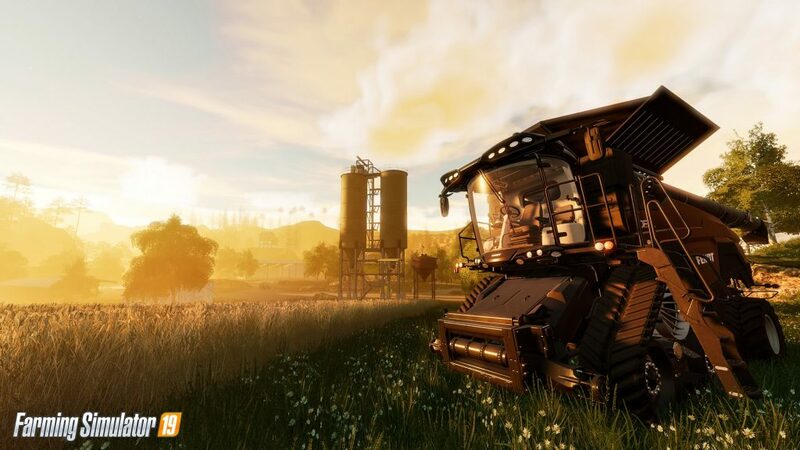 This article will focus on features of a more technical nature; those which are intrinsically a part of day-to-day farming operations, but that somehow are still missing from the core Farming Simulator experience. I would argue that the lack of weather and seasons in the Farming Simulator is its most egregious offense. While farming is an occupation that is largely weather-dependent, the series has yet to add anything past a day/night cycle and the occasional rain- or snow-storm (which have no effect on farming operations other than preventing the player from harvesting). That being said, I believe that this is also GIANTS’ greatest opportunity for improvement. Realismus Modding built the Seasons Mod for Farming Simulator 17, which provides a condensed calendar year split into four distinct seasons, including variations in temperature and weather. This adds a host of variables to the game and makes the moment to moment gameplay inherently more realistic by forcing the player to consider things like soil temperature when planting, moisture when harvesting, and proper storage of bales to avoid rotting. The mod also adds additional mechanics such as the requirement for vehicle maintenance (in addition to the daily “maintenance fee” seen in the base game), however I’ll touch more on this specific item later on. The fact that this mod exists gives me great hope for Farming Simulator 19. I believe GIANTS would be making a grave mistake if they allowed this to continue to be a user-created mod, rather than creating their own in-house solution (or adapting the mod). They are well aware of its existence, popularity, and quality – the Seasons Mod won the public online vote component of GIANTS’ own Mod Contest 2017 – and they showed that it’s possible to run the mod on Playstation 4 and Xbox One, porting it over after seeing significant demand from the game’s console audience. Ultimately I feel that adding an enhanced version of this mod to the game would benefit it in many ways. 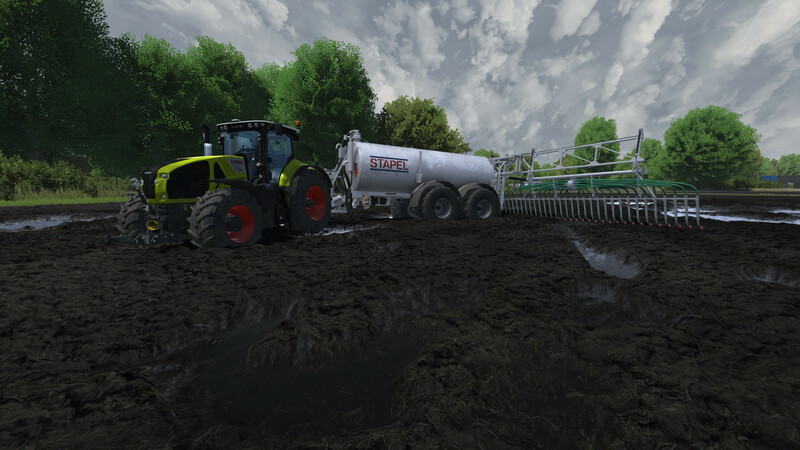 Increasing the realism will provide an even more intense simulation experience for those who want it by requiring more effective management of a player’s farm due to the time constraints imposed by the changing seasons and weather. I understand there is likely some concern at GIANTS around losing the more “casual” simulation audience if they push the game too far towards realism – after all, it’s still a game. However, I believe this could be easily mitigated by providing seasons and weather as an option for players to toggle. This may sound complex, but I believe that if players could add it to their saves in Farming Simulator 17 (or remove it) by simply toggling the mod on or off, it would theoretically be possible to give players a similar option if the features were to be included in the base game. This would allow everyone to enjoy the game the way that they want, whether that’s through worrying about letting their hay dry before baling it and testing soil temperature before seeding, through turning the game speed up as high as possible and growing crops in a matter of minutes, or somewhere in between. While this item (or at least moisture in particular) might go somewhat hand in hand with weather and seasons, I believe it’s separate enough that it could be added without them and still serve to greatly improve the realism offered by the game. In Farming Simulator 17, GIANTS introduced a 3-tiered fertilization system whereby (if turned on in the settings) players needed to fertilize their fields three times in order to maximize their yields. This was coupled with a new plowing mechanic – if fields weren’t plowed after every 3 harvests, they would lose 10% of their yield until plowed. This is, however, the extent to which Farming Simulator has ventured into the territory of factors affecting crop yields. In other recent agricultural simulators such as Real Farm and Pure Farming 2018, we have seen things like pests and moisture impact crop yields on a field-by-field basis. What I mean by this is that in those games, each field has a meter that indicates the level of various factors impacting crop yields. These include plowing and fertilization, but extend even further to things like insects, weeds, and moisture levels. Each field’s levels differ, and so the player must treat each field according to its needs so that the yield can be maximized. I feel that Farming Simulator 19 would benefit greatly from introducing a similar system, ideally in conjunction with the weather and seasons feature. Requiring the player to manage this wide variety of factors would take the game’s realism to new heights by forcing them to turn their mind to effective management of multiple yield influencers. If this were to be combined with variable weather, it would provide the player with a much truer sense of the unpredictability of farming. Again, I recognize that not all players are looking for an ultra-realistic experience, and so I envision that this too could be made an in-game setting that can be toggled according to a player’s tastes. 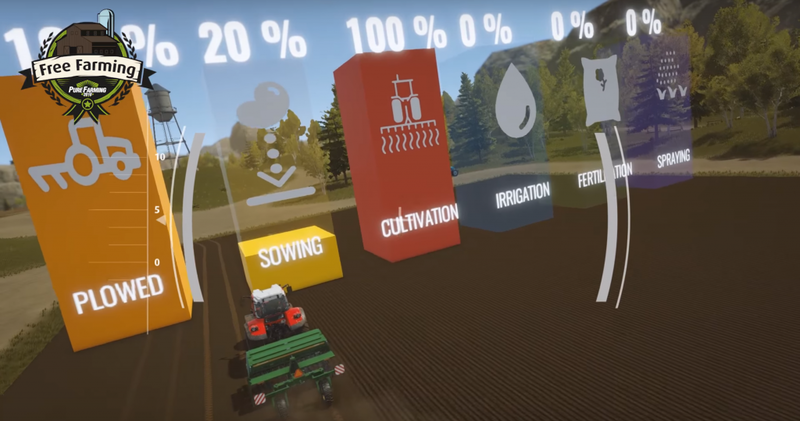 Pure Farming 2018 forces players to consider a multitude of factors, including irrigation and spraying. Could Farming Simulator 19 expand on this formula? The final item on my “Farming Simulator 19 wishlist” (at least in relation to the more “technical” pieces of the game) isn’t one that I feel is particularly essential to the ultimate farming experience, however it is one that I understand many who play the game would like to see in order to make it more realistic. What I’m referring to is the static nature of the game’s terrain and how it could be improved, particularly its response to rainy and wet conditions. Many players have expressed that they wish to see the game adapt technology similar to that seen in Spintires (and Spintires: Mudrunner) or Cattle and Crops whereby the terrain is truly 3-dimensional – to use a more concrete example, players would like to see their tractors create ruts when driving on wet ground, and possibly even get stuck if proper care isn’t taken to mitigate risks. Adding an element such as this is likely a massive undertaking, however it’s clear that it has been done in other games. It would greatly enhance the realism of the game, providing yet another variable that players need to consider when going about their activities: should they plant the crop now and risk getting stuck or creating massive ruts in the field, or wait for it to dry but risk planting the crop too late? Once again, this is a feature that could rely heavily on the presence of weather and seasons to create that time crunch scenario, as well as provide the weather necessary to generate the muddy conditions that many players are seeking. Cattle and Crops boasts realistic weather that creates muddy terrain. These suggested changes and improvements all have one thing in common: they focus on improving the game’s realism. As a player who enjoys the realistic aspects of the Farming Simulator series, it’s in my nature to believe that a heightened sense of realism in the game will equate to it being more fun. I recognize that this isn’t true for all players, and so I firmly believe that if any of these enhancements are brought to the game, that they should be “toggleable” options rather than simply forced on all players. 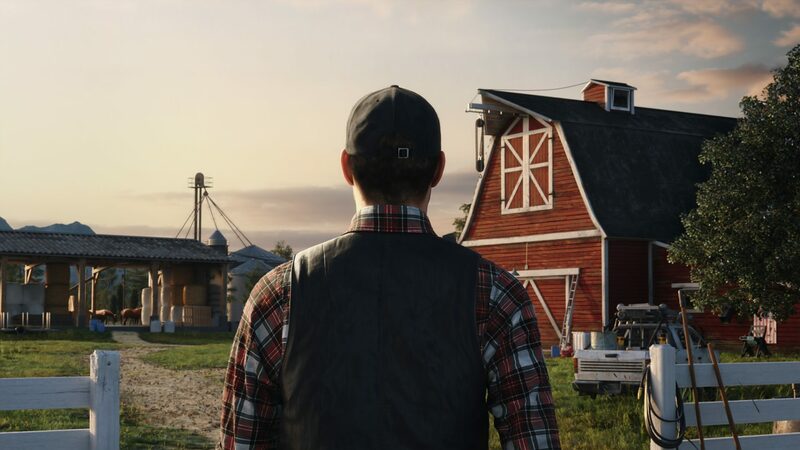 Variety is the spice of life, and in an open-ended game like Farming Simulator 19, more options will likely equate to more fun for all players. In case you hadn’t guessed, Farming Simulator 19 is my most highly-anticipated game this year, so be on the lookout for more in-depth analysis to come as we learn more about its development. Next up: Part 2 of my “wishlist”, taking a look at further possibilities for the Farming Simulator series.